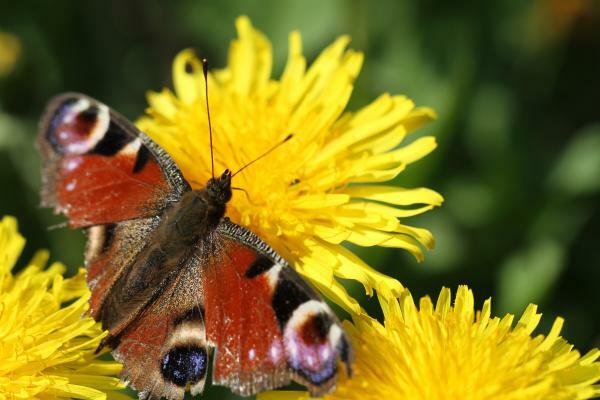 Please note: Grid references are essential for accurate monitoring of butterfly populations, so please provide one wherever possible. You can use this easy tool to help you find the right one. 23rd High Ongar to Fyfield, circular walk. (TL564036) Small Tortoiseshell, Peacock, Small white, Large white, Orange-Tip, Speckled Wood Rosie & Bill Perkins, Margaret & Jim Dalgarno.r 4,Peacock, 2.Small Tortoiseshell, 7,Speckled Wood, 7,Large White, 20+,Small White, 15,Orange Tip. 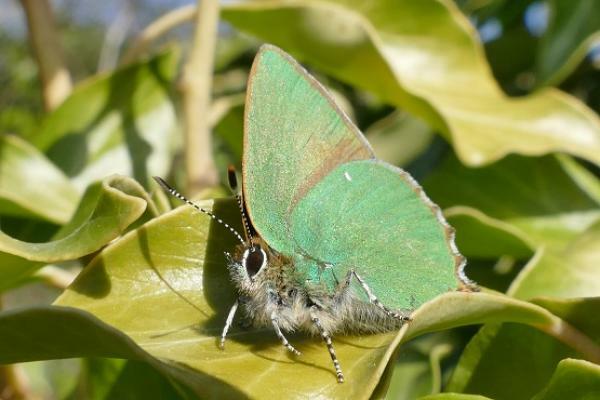 23rd Canvey Wick (TQ768833) Peacock, Small white, Green-veined white, Orange-Tip, Speckled Wood, Green Hairstreak Andrew Woodhouse Just one Green Hairstreak found during an hour's search. 22nd Matching garden (TL516124) Small Tortoiseshell, Peacock, Brimstone, Speckled Wood Bryan Russell M and f brimstone. 22nd Fingringhoe EWT (TM048193) Small Tortoiseshell, Comma, Peacock, Brimstone, Small white, Large white, Green-veined white, Orange-Tip, Speckled Wood, Green Hairstreak, Small Copper Rosie & Bill Perkins, Linda & George Jenkins. 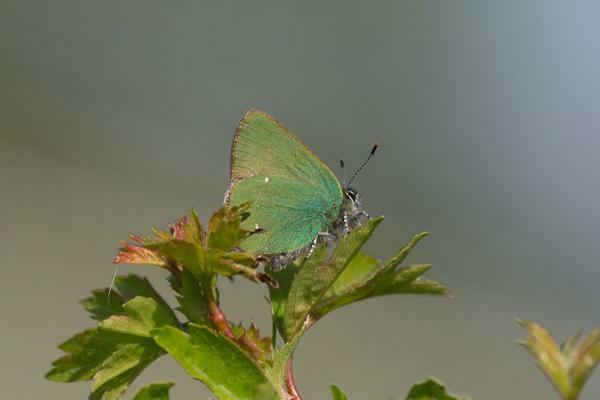 3,Brimstone, 4,Large White, 9,Small White, 3,Green-veined White, 8,Orange Tip, 18+Peacock, 3,Small Tortoiseshell, 1,Comma, 4,Speckled Wood, 3,Green Hairstreak, 1,Small Copper. 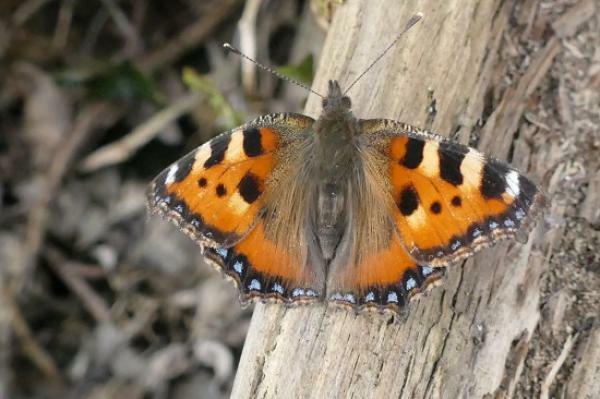 21st Marsh Farm Country Park, South Woodham Ferrers (TQ8296) Small Tortoiseshell, Peacock, Small white, Green-veined white, Orange-Tip, Speckled Wood Christopher Rawlings 3 Small Tortoiseshell, 3 Speckled Wood, 3 Small White, 1 Green-veined white, 1 Peacock & 1 male Orange Tip. 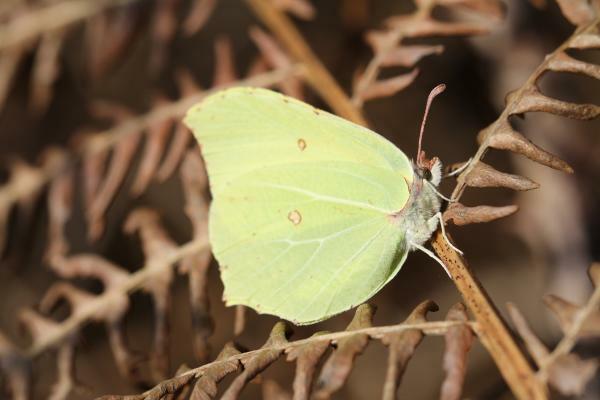 20th Tiptree Heath (TL882146) Brimstone Richard Bigg Walked the eastern end of the heath and saw only two butterflies one was a Brimstone the other a white which could have been an Orange Tip or Small White. 20th Tiptree (TL886162) Peacock, Small white, Orange-Tip Richard Bigg Spent 35mins. walking meadows which I would think are old gravel workings filled in :- Orange Tip(2),Peacock(1),Small White(2). 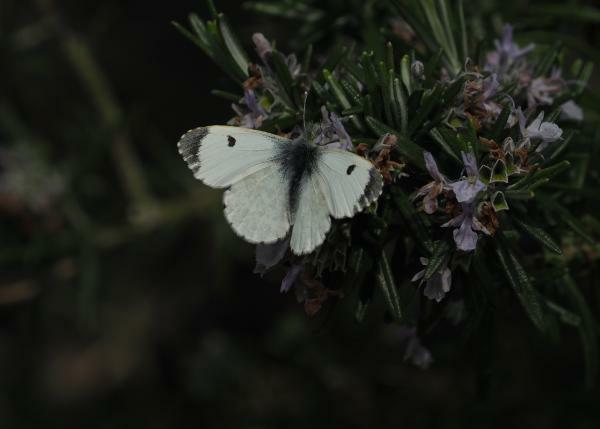 Other whites were flying in small numbers and some were probably female Orange Tips. 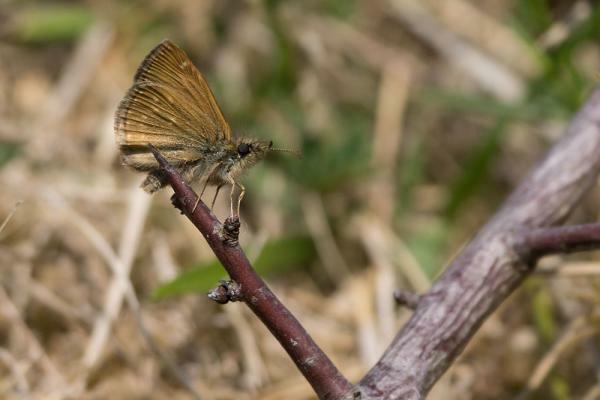 20th RSPB Old Hall Marshes (TL9612) Peacock, Green-veined white, Orange-Tip, Small Copper George Brown Sunny and very warm. Light NE wind. c6 Peacocks, single Green-veined white and male Orange tip, and 4 Small coppers. 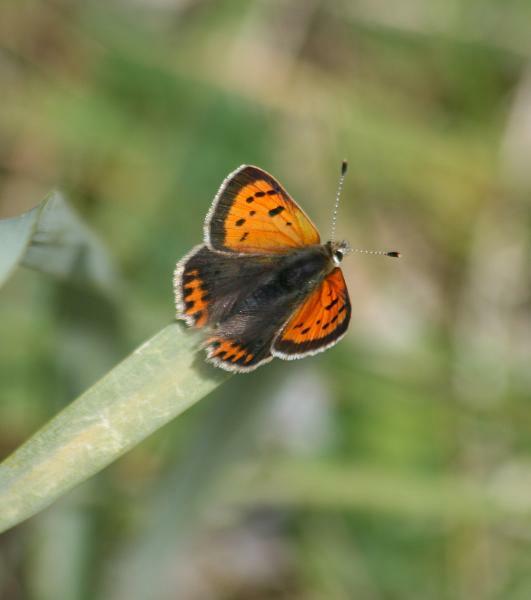 20th Orton Brick Pit, Peterborough (TL174934) Small Tortoiseshell, Comma, Peacock, Brimstone, Small white, Green-veined white, Orange-Tip, Speckled Wood, Holly Blue David Withrington South side of the main lakes - Small Tortoiseshell(3), Comma(2), Peacock(5), Brimstone(6), Small White(7), Green-veined White(2), Orange Tip(17 males), Speckled Wood(8), Holly Blue(1). 19th Langdon Hills (Dunton Plotlands) Peacock, Brimstone, Small white, Orange-Tip, Speckled Wood Andrew Cox Brimstone-two: Male & female (egglaying). 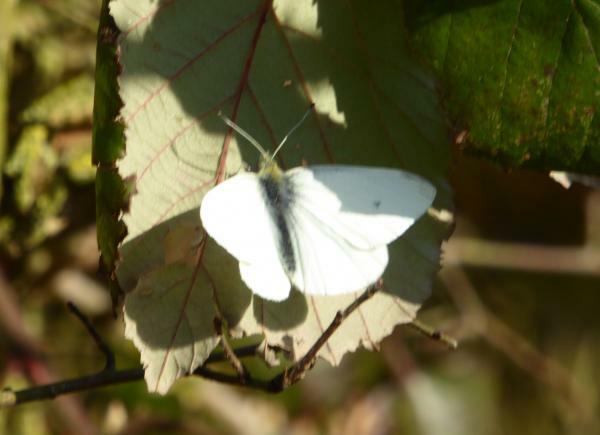 Small white- at least six. 19th Blackmore. Edge of fields & hedgerows. (TQ607999) Small Tortoiseshell, Peacock, Brimstone, Small white, Large white, Green-veined white, Orange-Tip Margaret Dalgarno Very warm sunny afternoon. ( 3.30 ----4.15. 6 peacock. 3 small white. 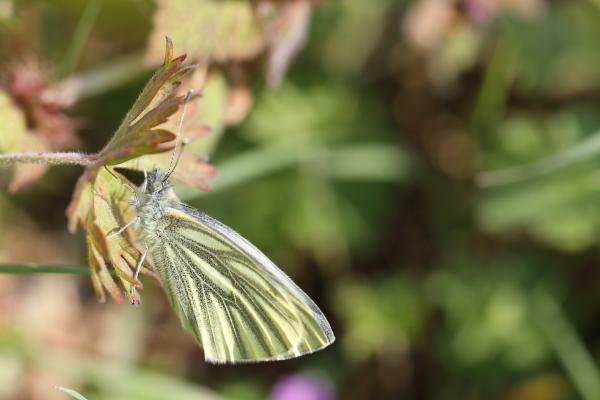 4 Brimstone.1 green-veined white. 1 large white. 4 small tortishell. 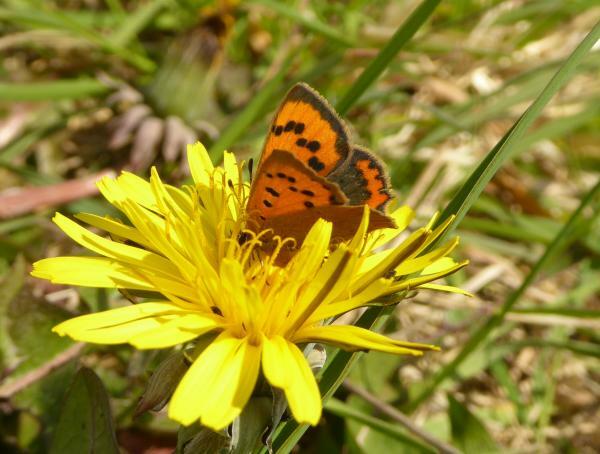 19th Barnack Hills + holes (TF077044) Small Tortoiseshell, Comma, Brimstone, Orange-Tip, Green Hairstreak, Holly Blue Steve Binding / Paul Fisher 09.30am/12.30pm 18c sunny getting warmer all the time but breezy. Green Hs (14) Brimstone (5) male (3) female. 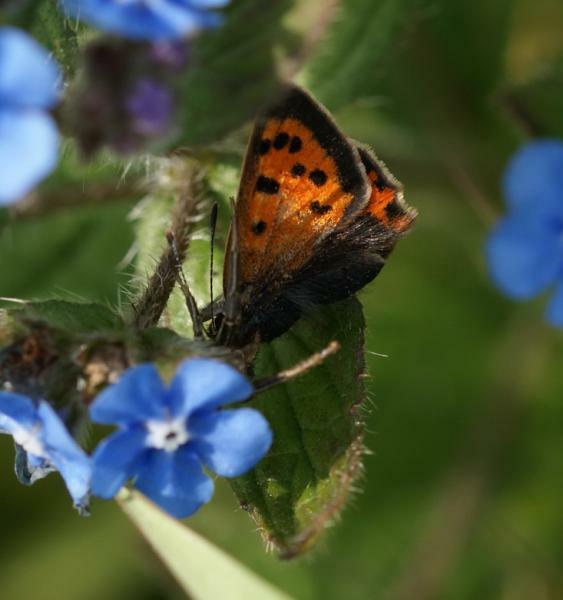 Holly Blue (8) Comma (3) Sm Tort (1) Orange Tip (1Female) . 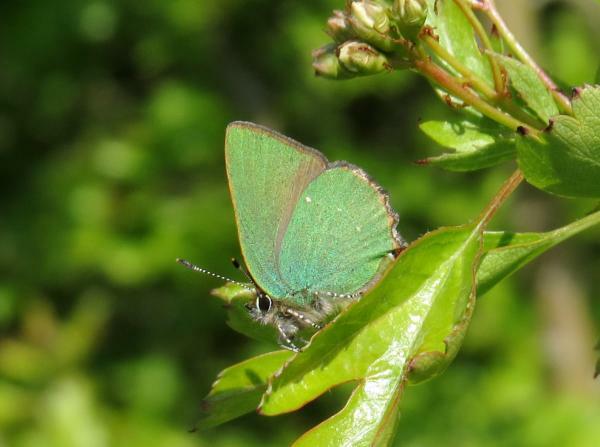 The Green hairstreak were found in all areas of the site on Ivy as well as Hawthorn and Apple blossom. Strange no Spec Woods?? 18th Maxey Cut, Peakirk (TF173075) Small Tortoiseshell, Peacock, Brimstone, Green-veined white, Orange-Tip David Withrington Morning walk along Cut and up towards River Welland: Small Tortoiseshell(3), Peacock(4), Brimstone(6 males), Green-veined White(12), Orange Tip(9 males). 18th Hadleigh Country Park Peacock, Brimstone, Orange-Tip, Small Copper Andrew Woodhouse 5 Peacock, 2 Brimstone, 1 Orange Tip and a Small Copper. 17th Walk along river Wid from Doddinghurst. (TQ593998) Small Tortoiseshell, Peacock, Brimstone, Small white, Large white, Green-veined white, Orange-Tip Rosie & Bill Perkins. 4,Large White, 2,Small White, 1,Green-veined White, 2.Brimstone, 2,Orange-Tip, 17, Peacock, 8.Small Tortoiseshell. 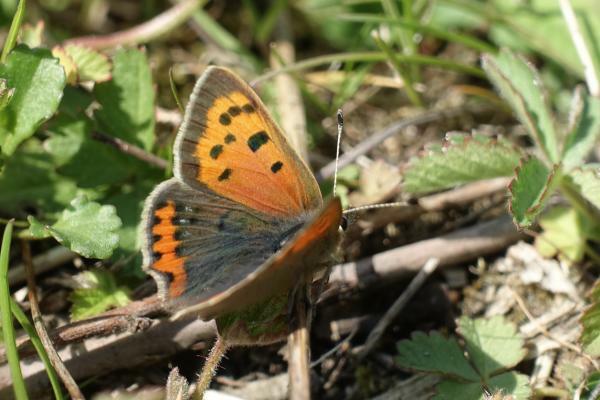 17th Coldham's Common (TL4758) Small Tortoiseshell, Peacock, Brimstone, Small white, Orange-Tip, Speckled Wood, Holly Blue Edward Pollard Warm and sunny. 20 mins of observations. 4 Small Tort. 5 Speckled Wood. 3 Holly Blue. 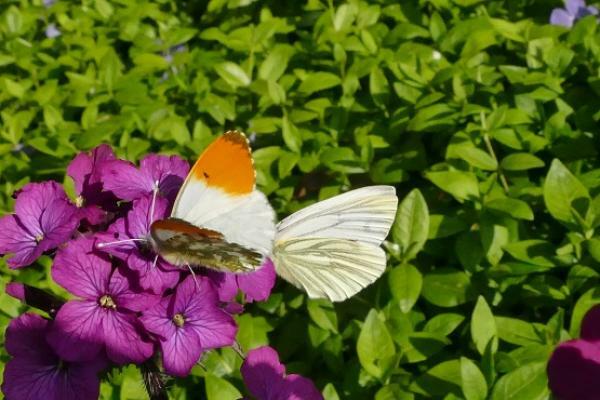 2 Orange-Tip. 1 Brimstone. 1 Small white. 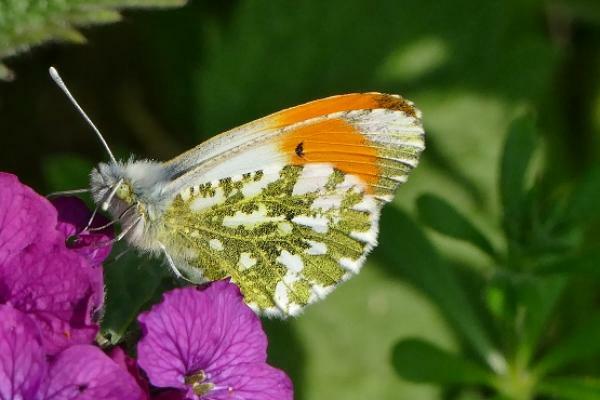 17th Burwell Cambs (TL589665) Orange-Tip Paul Craske Flew gently across the garden at 1pm today. 17th Barnwell East LNR, Cambridge (TL479582) Comma, Peacock, Brimstone, Green-veined white, Orange-Tip Edward Pollard My first visit to the site. Surprisingly quiet. Looks like the site is becoming over-grown with hawthorn and bramble. 16th South Woodham Ferrers (TQ809967) Brimstone, Small white Christopher Rawlings 1 of each flying through a garden in Hullbridge Road. 16th Cambridge Botanic Gardens (TL4557) Peacock, Red Admiral, Brimstone, Small white, Orange-Tip, Speckled Wood, Holly Blue Edward Pollard Warm and sunny. Lots about, but casualy obervations during a trip with young family. 4 Holly Blue, 4+ Brimstone, 1 fml Orange-tip, 3 Speckled Wood, 2 Small White, 1 Peacock, 1 Red Admiral. 15th Westlands Park (TL9623) Peacock, Green-veined white Len Cornwell 2 Peaacocks 1 Green-vein. 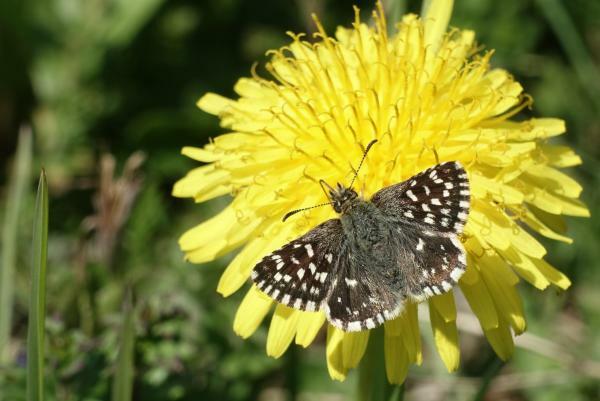 15th Hare Park Six Mile Bottom (TL583588) Brimstone, Small white, Orange-Tip, Speckled Wood, Holly Blue Kevin Wilson Near to the garden I saw 2 Small whites. 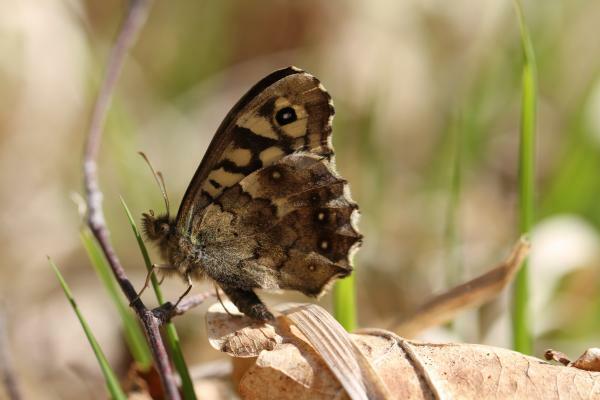 1 Speckled Wood. 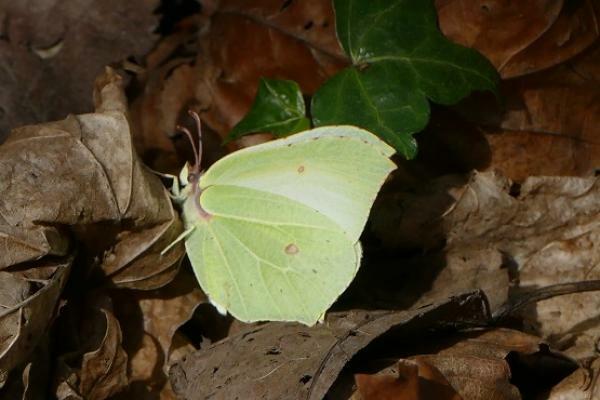 1 male Brimstone. 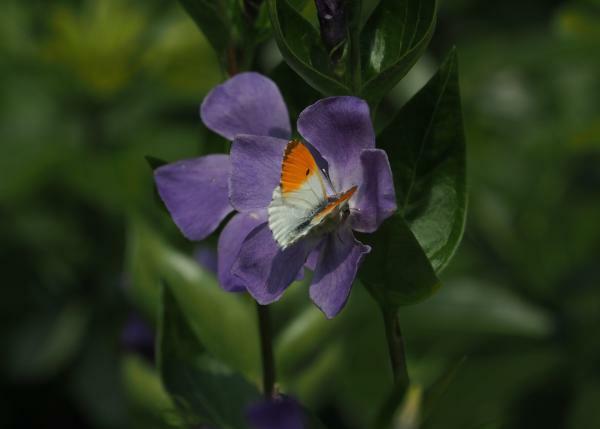 1 male Orange Tip and 1 Holly Blue. 11.35.am-12.30.pm. Sunny but a cool wind. 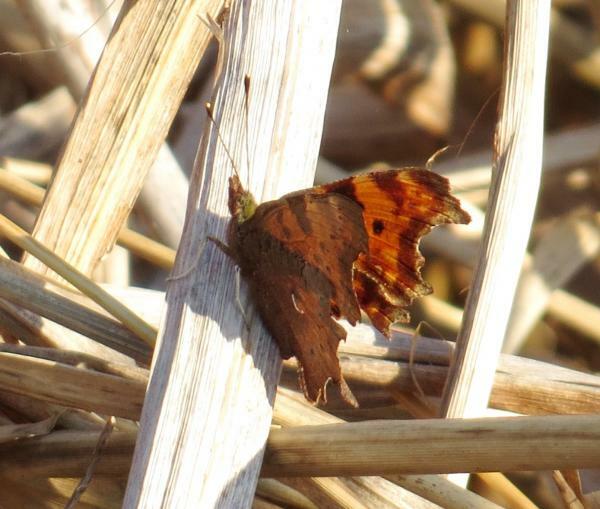 15th Coldham's Common (TL471591) Small Tortoiseshell, Comma, Peacock, Red Admiral, Small white, Speckled Wood Edward Pollard Strong, chill wind, but sunny. 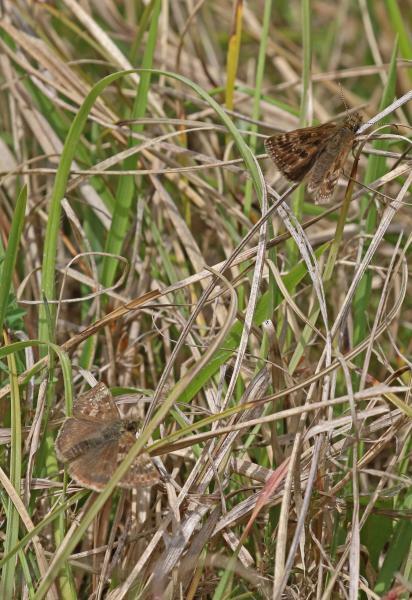 2 Speckled Wood, 2 Coma, 3 Small Tort. singles of the other species. 10th Blackmore. (TQ604993) Peacock, Red Admiral, Brimstone, Small white, Speckled Wood Margaret Dalgarno Sunny afternoon with cool breeze. 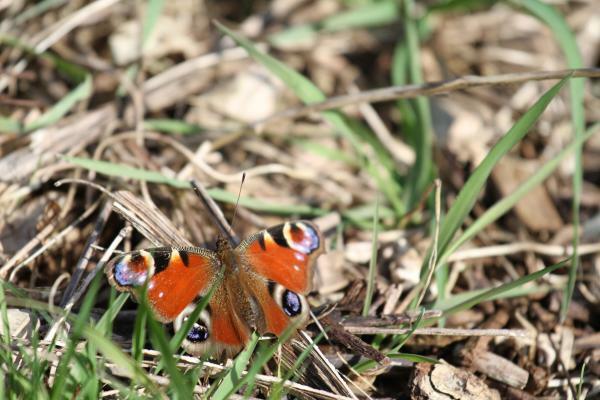 Wind quite sharp so it was a nice surprise to see the butterflies. 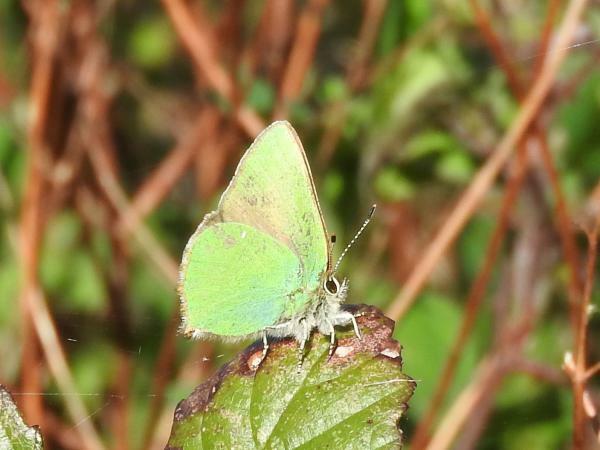 At least 6 speckled wood and 2 brimstone. 8th Tanholt Pits, Peterborough (TF238017) Peacock, Brimstone, Small white, Speckled Wood David Withrington A lovely sunny morning - along the path by the lakes I saw: Peacock (3), Brimstone (3), Small White (7) and Speckled Wood (1). 8th Hare Park Six Mile Bottom (TL583588) Peacock, Brimstone, Orange-Tip Kevin Wilson Walking to my car at 1.45.pm I noted 2 Brimstones,1 Peacock and 1 male Orange Tip. Warm and sunny. 8th Fordham Estate (TL926288) Comma, Peacock, Brimstone Richard Bigg An hour and ten mins. walk in warm sun with no wind temp. 17deg. Peacock(4), Comma(3) and a male Brimstone. 8th Cambridgeshire guided bus way (TL464614) Peacock, Brimstone, Small white, Green-veined white Scott Boyd 30 minute walk along the bus way from Milton road to College at 12.30. Sunny with slight breeze. 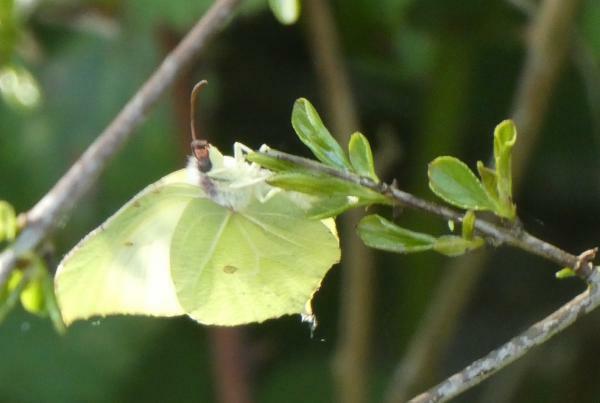 Saw 4 brimstones, 1 small white, 1 green veined white, 2 unidentified whites, and 1 peacock. 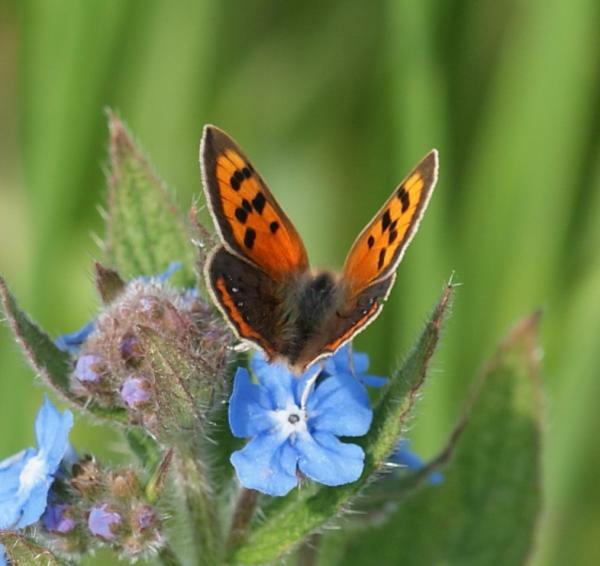 1st Milton Country Park, Cambridge (TL4762) Comma, Peacock, Green-veined white, Orange-Tip, Holly Blue Ian Johnstone Sightings between 11:00 and 13:00. 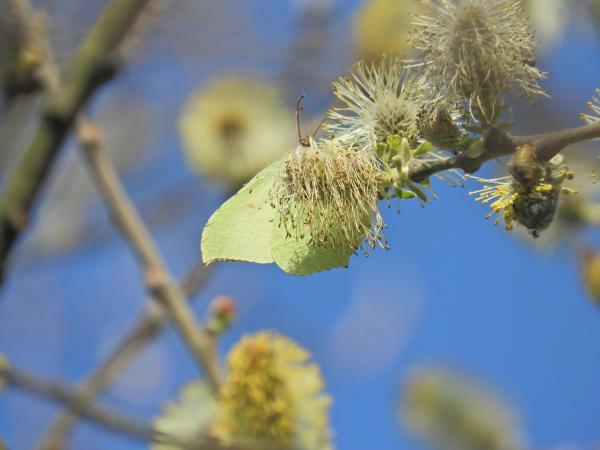 Weather sunny with gentle breeze - Temp about 12'C. 1st Garden in Little Eversden Small Tortoiseshell, Comma, Peacock, Brimstone, Orange-Tip, Holly Blue James Fowler Early afternoon, cool, still and sunny. 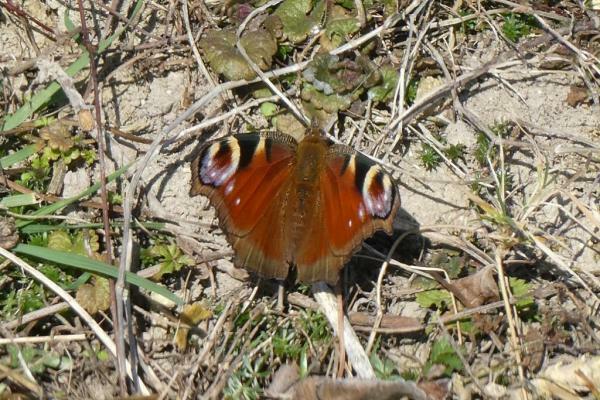 6 Peacock, 4 Small Tortoiseshell, 3 Comma, 3 Brimstone, single Orange Tip and Holly Blue. 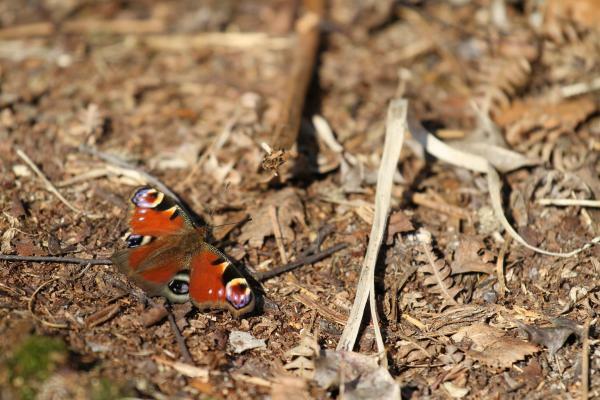 31st Orton Brick Pit, Peterborough (TL174934) Peacock, Speckled Wood David Withrington Along footpath on south side of lakes - Peacock (3), Speckled Wood (1). 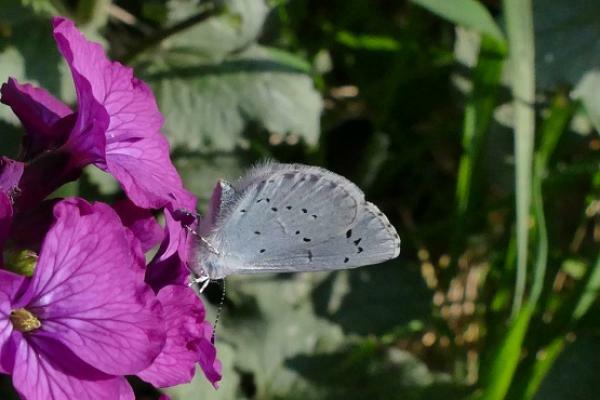 31st Bradwell-on-Sea, Essex (TM030083) Holly Blue John Sutherby One nectaring on cherry blossom in the Othona Camp "meadow" during the afternoon when the sun came out. 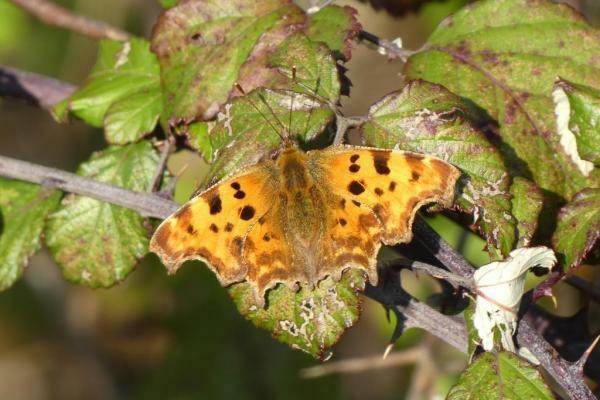 30th Orwell Chalk Pit Small Tortoiseshell, Peacock, Brimstone, Speckled Wood Sharon Brown 18 degrees C.
30th One Tree Hill, Basildon (TQ697861) Small Tortoiseshell, Comma, Peacock, Small white Alan Waddoups 18 x peacock, 2 x Small White, 5 x Small Tortoiseshell, 3 x Comma. 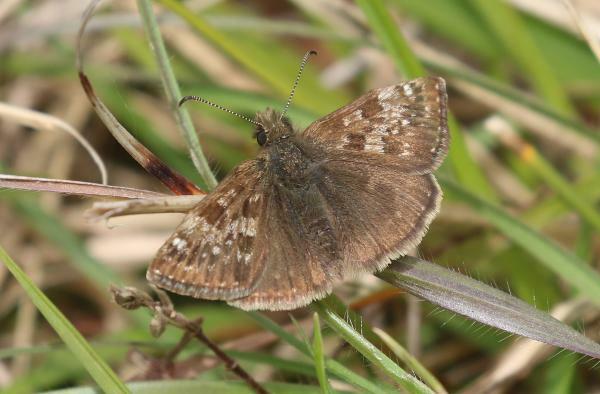 All sightings in the area of the Country Park between 2.00pm and 4.00pm. 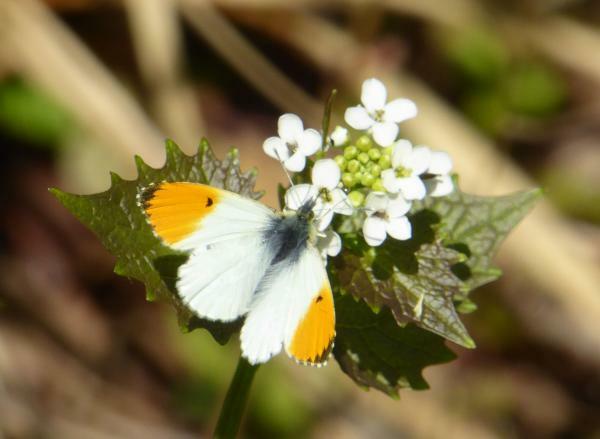 30th Leez Reservoir Orange-Tip George Brown Sunny and warm. Male at 11.10a.m. 30th Langdon Hills (EWT Willow Park & Mark's Hill). Small Tortoiseshell, Comma, Peacock, Brimstone Andrew Cox Brimstone- three, all males. 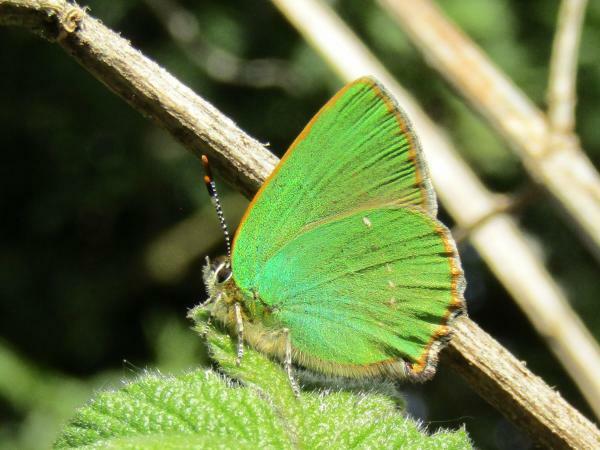 30th Hemingford Grey (TL289701) Brimstone, Orange-Tip Ute Mokros One male orange-tip flying through garden mid day. 30th Circular walk from Tollesbury Square. (TL956104) Small Tortoiseshell, Comma, Peacock, Holly Blue Rosie & Bill Perkins, Linda & George Jenkins. 28,Peacock, 2,Small Tortoiseshell, 1,Comma, 1,Holly Blue. 30th Castor Hanglands (TF117022) Comma, Peacock, Brimstone, Orange-Tip David Withrington At the top end of the nature reserve I saw - Brimstone (5), Peacock (4), Comma (1), and Orange Tip (3 males). 30th Back garden (TL969201) Small Tortoiseshell, Brimstone, Small white David Allen Singles of each. 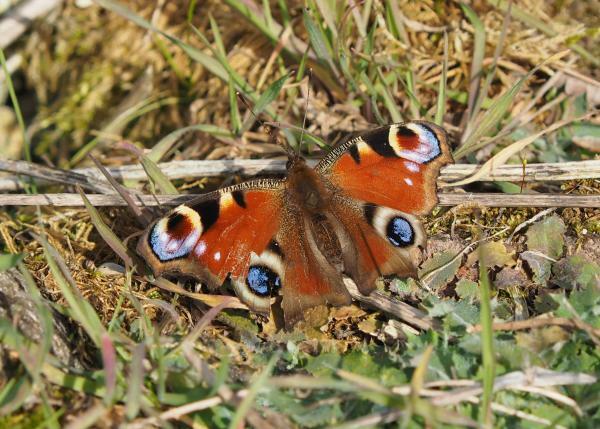 29th St Ives (TL3171) Small Tortoiseshell, Peacock, Brimstone, Orange-Tip, Holly Blue Ian Johnstone Sunny day (15'C) with light breeze. 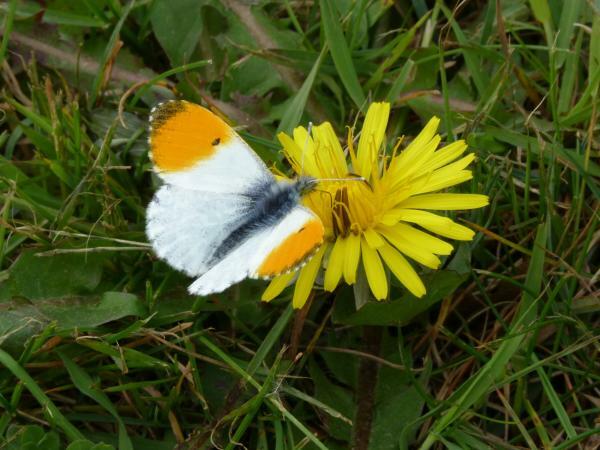 Male and Female Orange Tip flying around near Slepe Hall playing field. Holly Blue, Small Tortoiseshell, Peacocks (3) and a Brimstone flying round garden. 29th Reach end of Devils Dyke and the Burwell railway c (TL574654) Small Tortoiseshell, Comma, Peacock, Brimstone, Green-veined white, Speckled Wood Kevin Wilson I walked along Devils Dyke, Reach end to and along the disused Burwell railway cutting. 10.00.am-11.15.pm. Butterflies seen-12 male Brimstones and 3 females,7 Peacocks,2 Small Tortoiseshells, 1 Green-veined white, 1 Speckled Wood and 1 Comma. 29th Langdon Hills (Dunton Plotlands) Comma, Peacock, Red Admiral, Brimstone, Speckled Wood Andrew Cox Brimstone- at least five, all males. 29th Laindon West garden. Red Admiral, Brimstone Andrew Cox Brimstone- one Male. 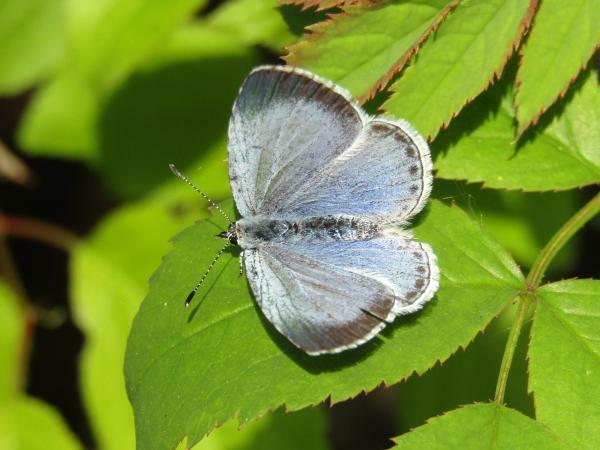 29th Itter Park, Peterborough (TF183020) Holly Blue David Withrington One flew through the middle of the park gardens. 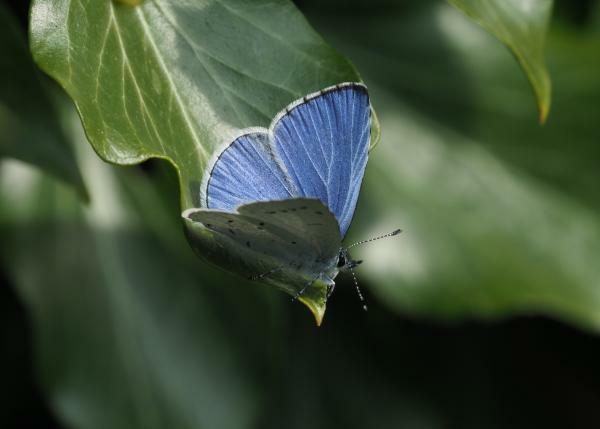 29th Home Farm Road, Houghton (TL284723) Holly Blue John Winterbottom One briefly, on Camellia in my garden; warm, sunny. 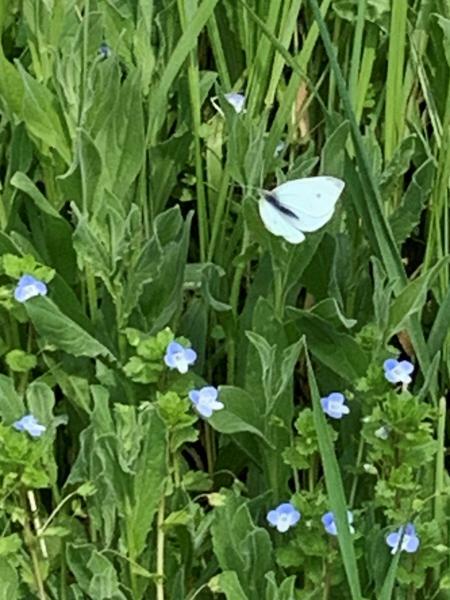 29th Hare Park Six Mile Bottom (TL583588) Orange-Tip Kevin Wilson 1 female Orange Tip settling occasionally but not long enough for me to obtain a photo in my neighbour's garden 1.15pm. Warm and Sunny. 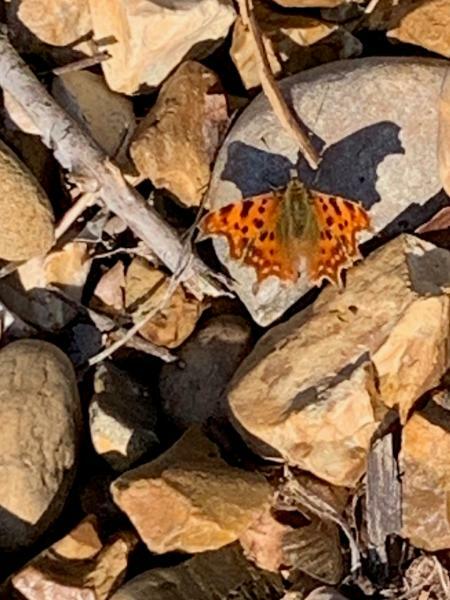 29th Garden in Little Eversden Small Tortoiseshell, Comma, Peacock, Brimstone, Small white James Fowler Mild sunny morning. Numerous Brimstone and Peacock. 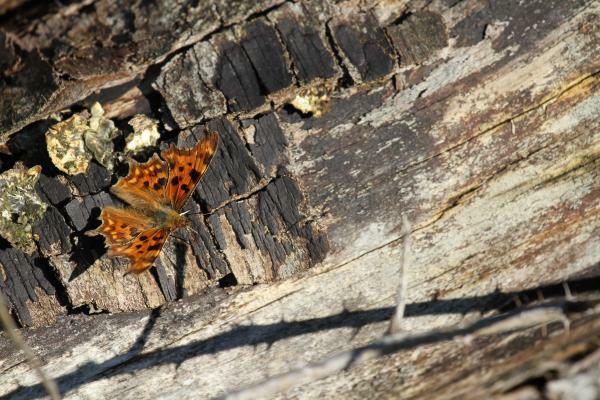 Two Comma and a single Small Tortoiseshell and Small White. 29th Garden Oakington (TL412645) Comma, Peacock, Small white, Holly Blue Julie Grove Just reporting the Holly Blue as the others may have been the gang from yesterday. 29th Dogsthorpe, Peterborough (TF192010) Peacock, Small white David Withrington In my garden just before noon - Peacock (1), Small White (1). 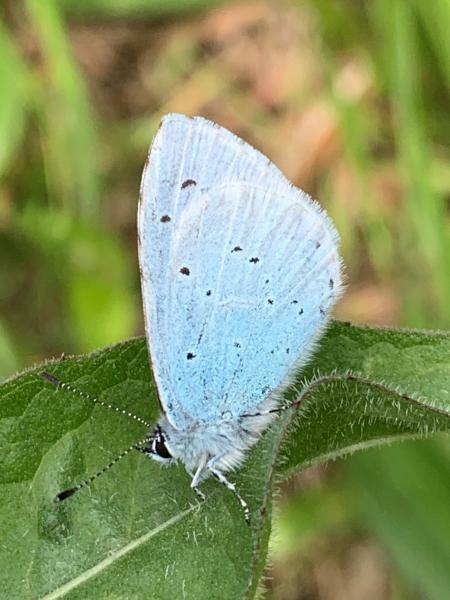 29th Comberton Holly Blue James Fowler 14:15, sunny and warm. 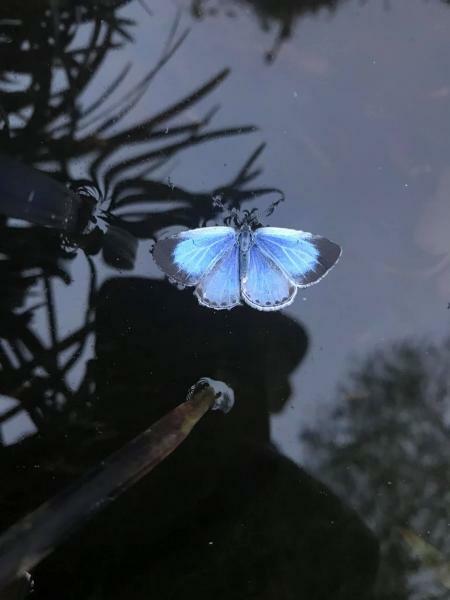 A single Holly Blue flying. First of 2019. 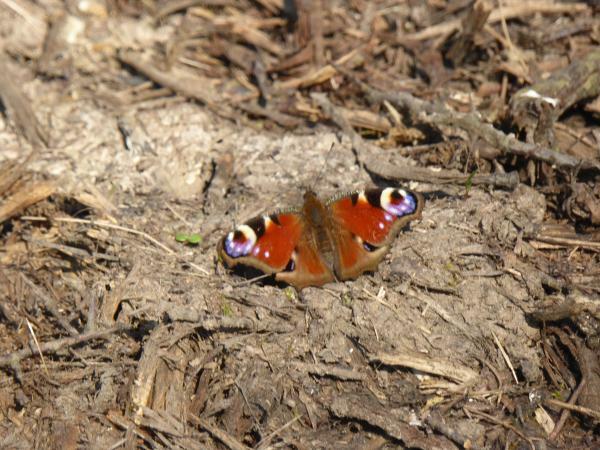 29th Bedfords Park LNR (TQ5192) Small Tortoiseshell, Comma, Peacock, Red Admiral, Brimstone, Orange-Tip, Speckled Wood Colin Jupp 1 male Orange-tip, 2 Speckled Wood, 8 Brimstone (7m, 1f), 2 Red Admiral, 38+ Peacock, 9 Comma, 5 Small Tortoiseshell. 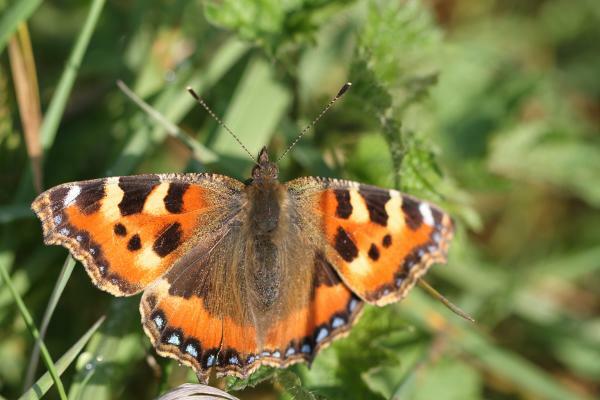 28th New Shardelows Farm near Fulbourn (TL538542) Small Tortoiseshell, Brimstone Kevin Wilson 2 sightings of a Brimstone, the first at 11.41. am the second at 1.54.pm. 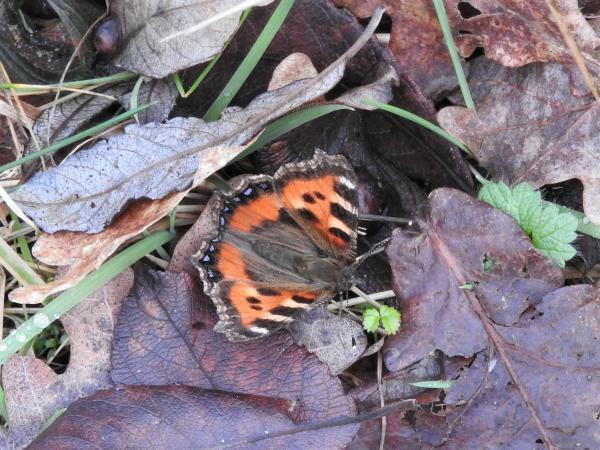 Also 2 sightings of a Small Tortoiseshell, 12.25.pm and 1.14.pm.Sunny and mild. 28th Garden Oakington (TL412645) Small Tortoiseshell, Comma, Peacock, Small white, Orange-Tip Julie Grove Warm 14C Bright sunshine, slight breeze - 2 Peacock, 3 Small white, 1 Small Tortoiseshell, 1 Comma, 1 Male Orange Tip - bit worrying as no sign of Garlic Mustard yet. 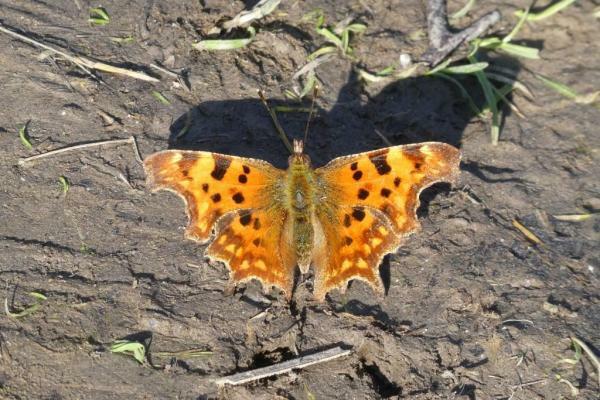 26th Dogsthorpe Star Pit (TF212027) Comma, Peacock David Withrington One Comma and two Peacocks on walk round the reserve. 25th Hare Park Six Mile Bottom Peacock Kevin Wilson 1 Peacock in a sheltered sunny area 10.10.am. Another seen at 4.00.pm in a different area of Hare Park. 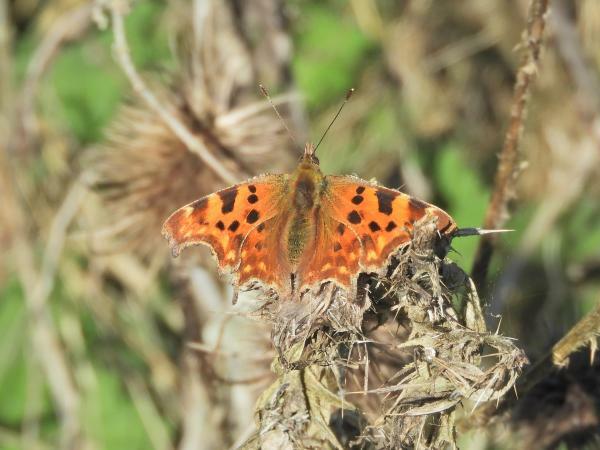 25th Fletton Lake, Peterborough (TL196963) Small Tortoiseshell, Comma, Small white David Withrington Walk along west side of lake - Small Tortoiseshell (2), Comma (1), Small White (1). 24th Sutton Gault (TL424798) Peacock, Brimstone, Green-veined white Rob Partridge 2 Green-veined Whites; Large White on 23rd, yesterday. 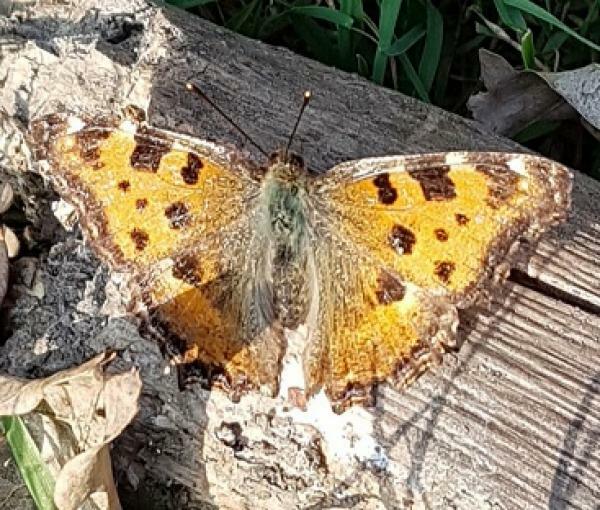 24th Garden in Little Eversden Small Tortoiseshell, Comma, Peacock, Brimstone, Speckled Wood James Fowler 11:30, cooll, sunny and still. 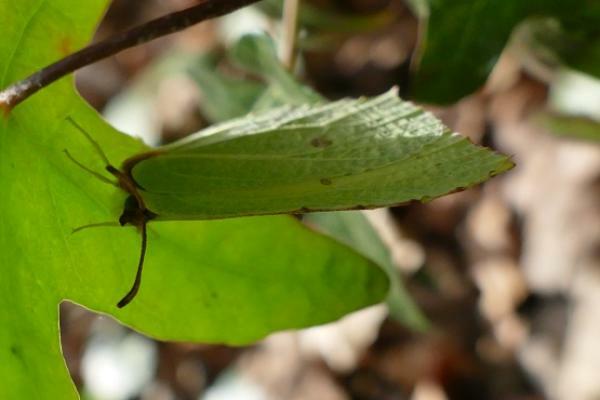 Numerous male and a single female Brimstone. 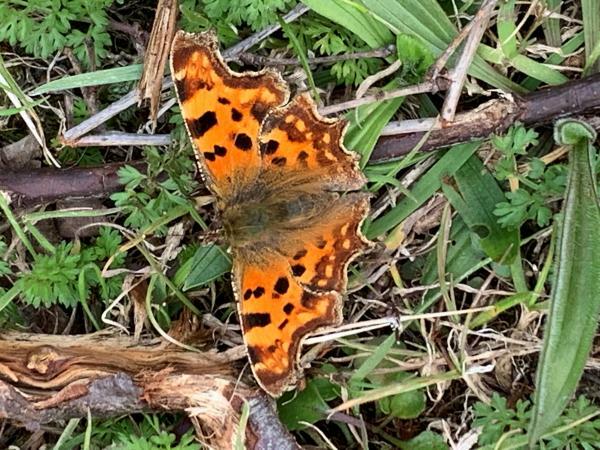 A single Small Tortoiseshell, my first Speckled Wood of 2019 and two each of Comma and Peacock. 24th Cambridge Botanic Gardens (TL454571) Red Admiral, Brimstone Edward Pollard 9+ Brimstones, but only 1 Red Admiral. 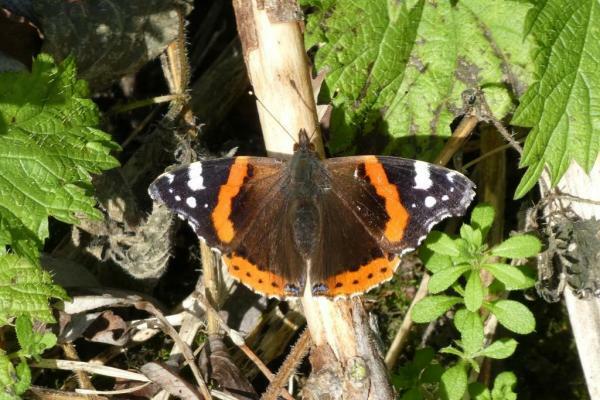 24th Bradwell St Peters to Marshouse OutfallTM (TM0308) Small Tortoiseshell, Peacock, Red Admiral, Brimstone, Small white, Green-veined white Graham Smith 22Peacock, 7 Small Tortoiseshell, 1 Red Admiral (worn individual), GV White, Small White, Brimstone (male). 24th Beachet Wood, Mount End (TL489007) Peacock, Brimstone Ian Watts Approx 15 Peacocks along the woodland edge. Another 10 or so seen walking between there and Theydon Bois. 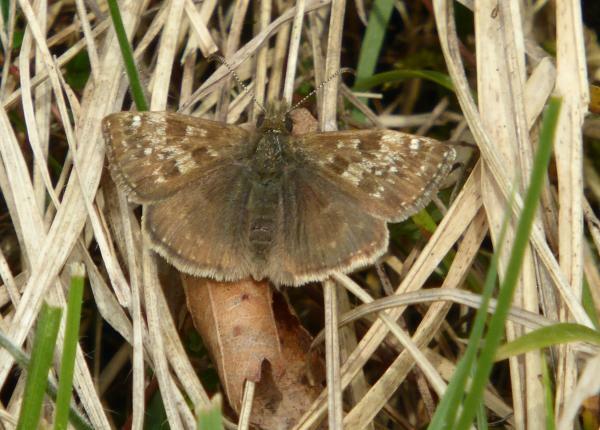 I guess I saw more of this species in an hour or so today than I saw during the entirety of 2018. 23rd Brookes NR (TL812267) Comma, Peacock Richard Bigg My first sighting of a butterfly this year. in weak sun and temperature 14deg. single Comma and Peacock. 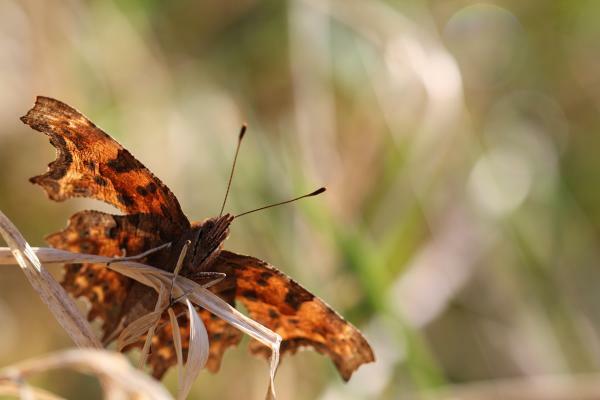 21st Fowlmere RSPB nature reserve (TL407457) Comma Jonathan Wallace Basking on the top of a phragmites seedhead.
. I followed it to check whether it was a Small White or a GV. 21st Church Lane, North Weald (TL494045) Small Tortoiseshell, Peacock, Brimstone Ian Watts Singles. 20th Pilgrims Hatch Brentwood Small white Tom Hyde 7am very small freshly emerged Small White front garden. 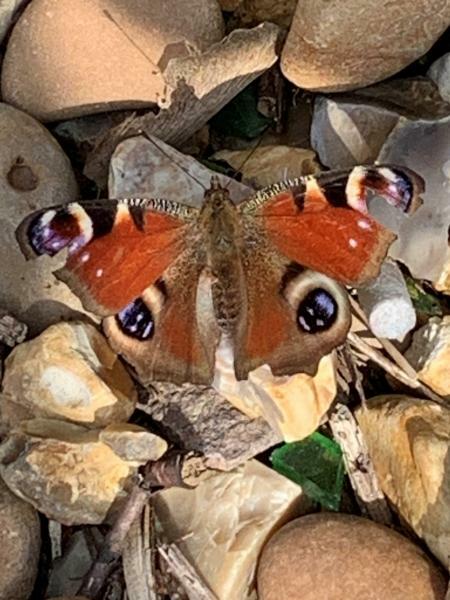 19th Tan Lane Little Clacton (TM173204) Peacock Gavin Price Single Peacock flew into garden, settled for seconds and then flew on. Sunny intervals no wind. 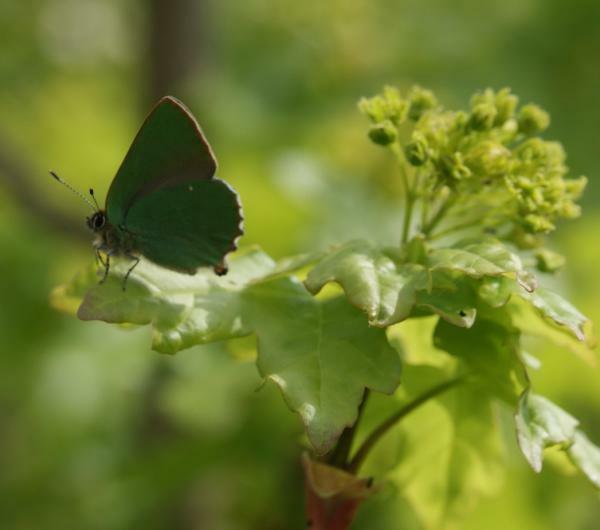 19th Lyonshall Wood, S of Great Leighs (TL7314) Brimstone George Brown Sunny spells, 11a.m.-12.50p.m. 2 male Brimstones. 19th Hare Park Six Mile Bottom. (TL583589) Brimstone Kevin Wilson 1 male Brimstone seen at 11.03am,and another at 12.34pm. 19th Eaton Socon St Neots Small white Steve Binding sun ,cloud but warm 1130am. whilst gardening a fresh Small White landed on Daffodils in front of me briefly, possibly looking for nectar before flying off . 1st of the year ? 19th Broadway Cemetery, Peterborough (TL195995) Peacock, Brimstone David Withrington I saw 3 Brimstones and 1 Peacock. 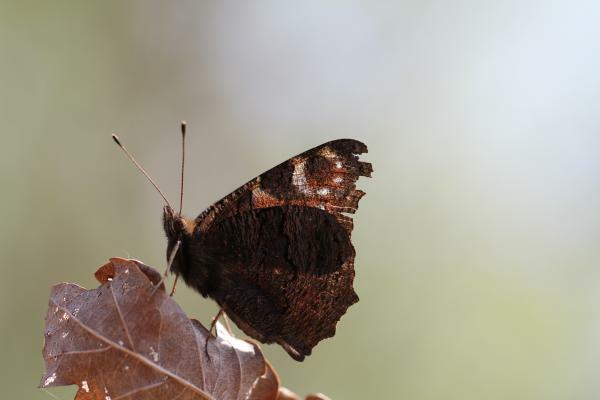 14th Long Running Epping Forest (TQ435998) Comma Christian Moss Very windy conditions. 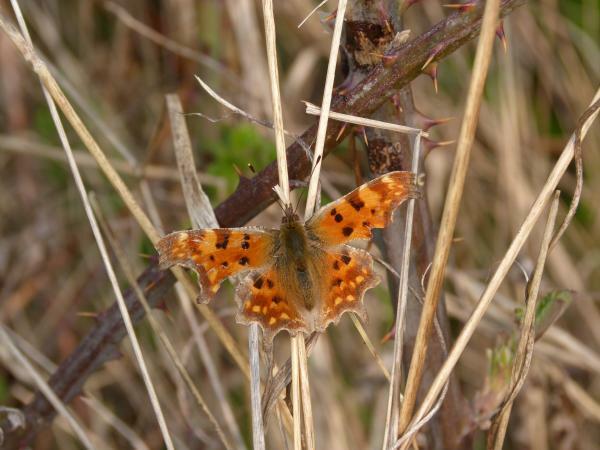 Saw a Comma briefly in flight before hunkering down in the heather. 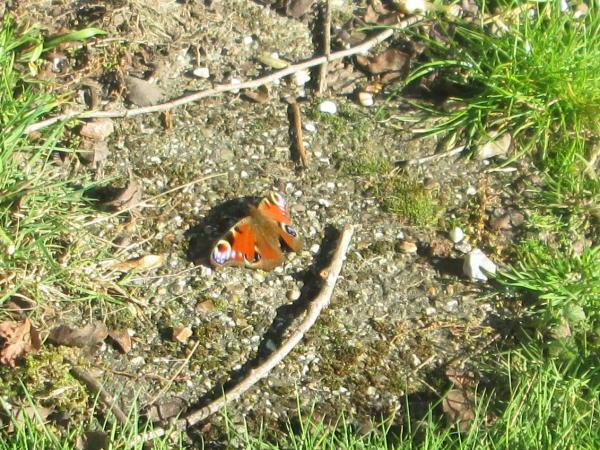 13th Garden in Little Eversden l Red Admiral James Fowler 10:30, sunny, cool and very windy. 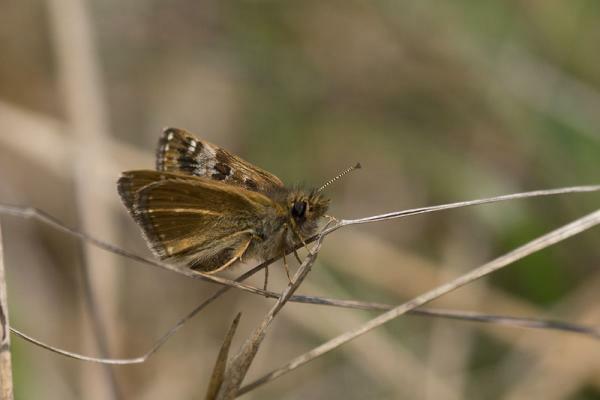 A singleton landed briefly on a path before flying / being blown away. 5th Pebmarsh, woodland & Prestons Lake (TL8531) Small Tortoiseshell Martin Peers single Small Tortoiseshell on sunny slope below Preston's Lake. 5th Holland Haven (TM2116) Painted Lady George Brown Sunny with fresh SW wind, 12.55p.m. 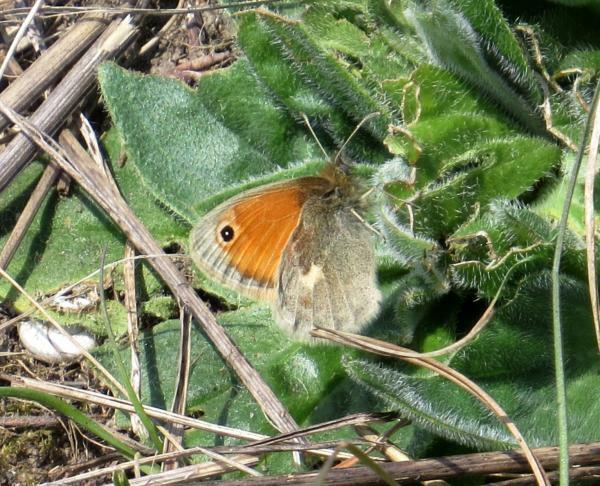 Flew in over seawall and settled on sheltered ground with wings open in the sunshine. Very fresh looking. 27th Wheatley Wood, Rayleigh (TQ788912) Small Tortoiseshell, Comma, Peacock, Brimstone Graham Bailey Early pm walk around site. Small tortoiseshell 4, singles each of Brimstone, Peacock and Comma. 27th Danbury Common (TL779048) Brimstone Christopher Rawlings 1 seen flying past the Cricketers Arms. 13.00hrs, warm sunshine. 26th South ockendon (TQ592823) Small white Janet Edmunds In flight going over the road at 1pm. 26th Rear garden. (TL431608) Brimstone Derek Cull 2 Brimstone seen in flight. Bright, warm sunny day. 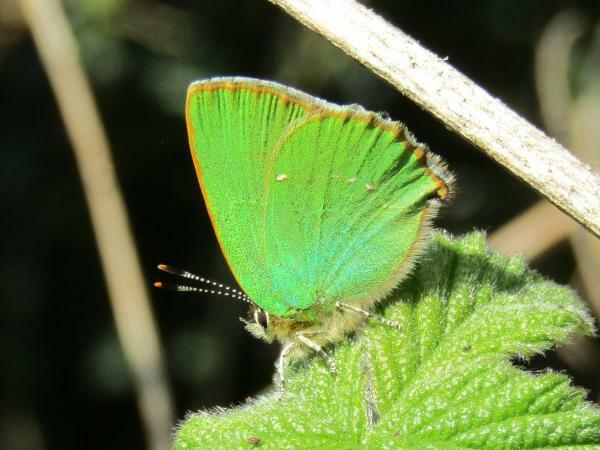 26th Garden Oakington (TL412645) Brimstone Julie Grove 3 x Brimstone, 1 x Small Tortoiseshell another glorious day 20C clear sky, no wind. 2.30 p.m.
25th Wicken Fen (TL556695) Peacock, Red Admiral, Brimstone Kevin Wilson 4 Brimstones and 1 Peacock butterfly seen along Harrisons Drove between 12.45.pm-1.15.pm. 1 Brimstone and 1 Red Admiral seen from West Mere Hide 1.35-1.40pm. Sunny, very mild. 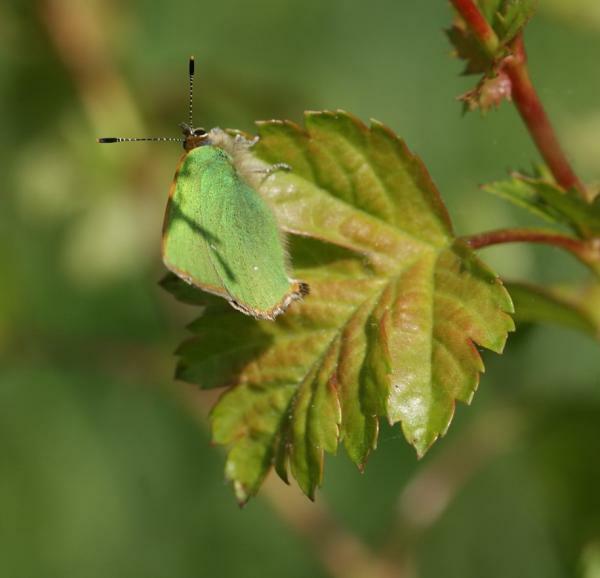 25th Stansted,Essex (TL528211) Small Tortoiseshell, Brimstone Paul Fisher Seen along a field margin near to Stansted airport: Small Tortoishell x1, Brimstone x1. 25th Home address garden (TL292424) Brimstone C Upchurch Just the one, very warm day for February about 15 degrees C.
25th Hare Park Six Mile Bottom (TL583588) Peacock, Brimstone Kevin Wilson A walk around Hare Park produced sightings of 9 Brimstones and 1 Peacock butterfly. 11.05am.-12.15pm.Sunny and very mild. 25th Garden Oakington (TL412645) Small Tortoiseshell Julie Grove Another bright sunny day thermometer reading 20C but the garden is sheltered 3.00 p.m. 1 x Small Tortoiseshell good condition again feeding on the winter flowering honeysuckle. 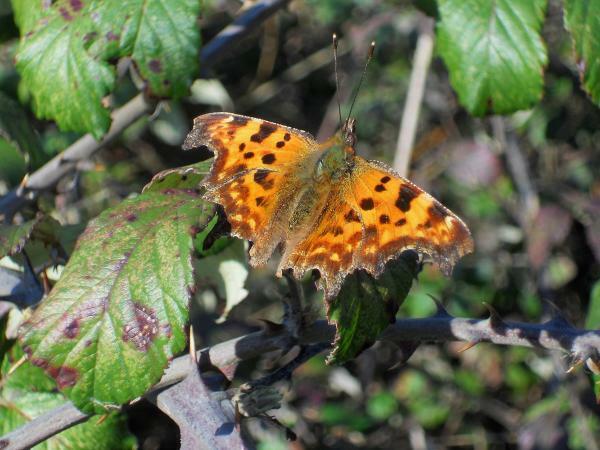 24th Winter garden Anglesey Abbey Small Tortoiseshell, Comma, Red Admiral, Brimstone Jeffrey Riley Several Brimstone. One of each of the others. 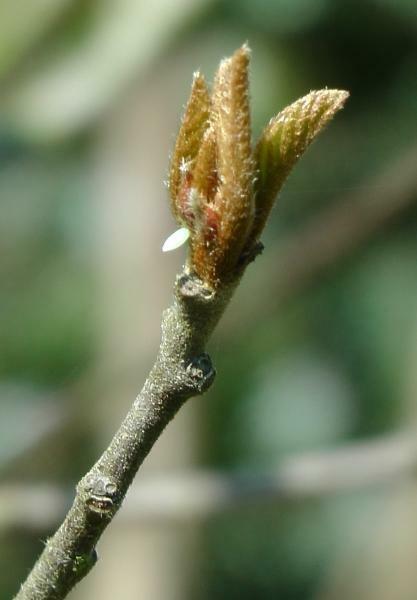 24th Thorndon Park (north) Red Admiral Andrew Cox Red admiral- one,in Good condition, feeding on viburnum. 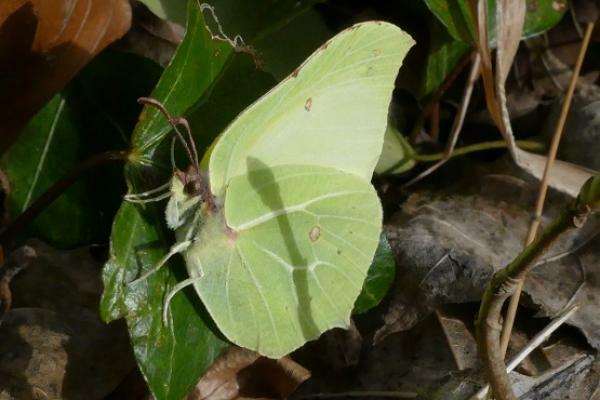 24th St Ives garden Brimstone Jill Sutherland 16C sunny. 24th Oakington, high Street (TL412645) Brimstone Julie Grove One Brimstone flying across the Churchyard so possibly not the one recorded on 23rd. Bright sunshine, light breeze 16.4C 2.30p.m. 24th Furze Ground - Epping Forest (TQ431988) Comma, Peacock Christian Moss One Comma and one Peacock. Both seen at Furze ground. No photos unfortunately, lovely to see. 24th Epping forest Comma, Peacock Laurence Drummond Andrew Middleton Around the north of the forest, peacocks at Furze ground and deer shelter plain,also Comma at deer shelter. 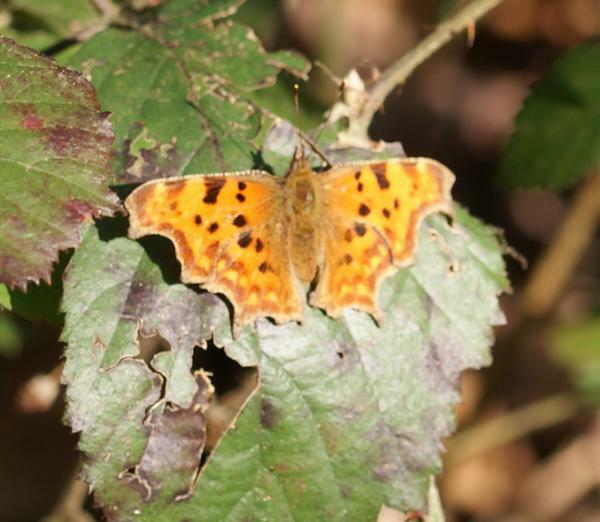 24th Brampton Wood (TL177699) Comma, Peacock, Brimstone Paul Fisher A walk around the main rides produced: Comma x2, Peacock x1, Brimstone x5 (Brimstones all male and very active, The other two species just sunbathing). 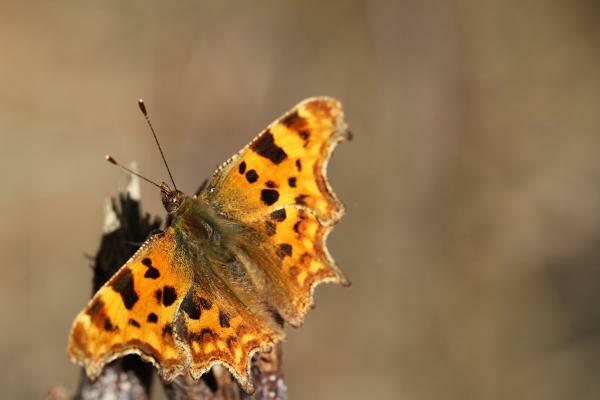 24th 8 Fitzwalter Rd, Colchester garden (TL977249) Comma Lynsey Anderson 1 rather small in bright sunshine mid-am. First sight of the year. Fluttering between open daffodil flowers & dewy patch on lawn nearby daffs. 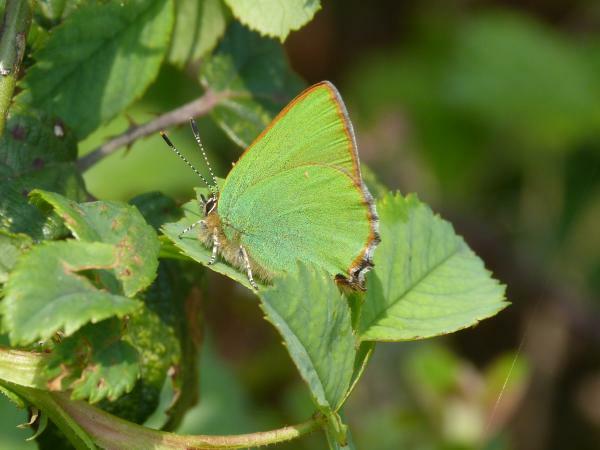 23rd little chesterford Brimstone Mathilda Starr Two flying across the garden at late morning. 23rd Wat Tyler Country Park (TQ738864) Brimstone Graham Bailey A male Brimstone at about 13.30 close to the Green Centre. 22nd Cavendish Road, Cambridge (TL466580) Brimstone Edward Pollard single, in small garden. Mild sunny weather. 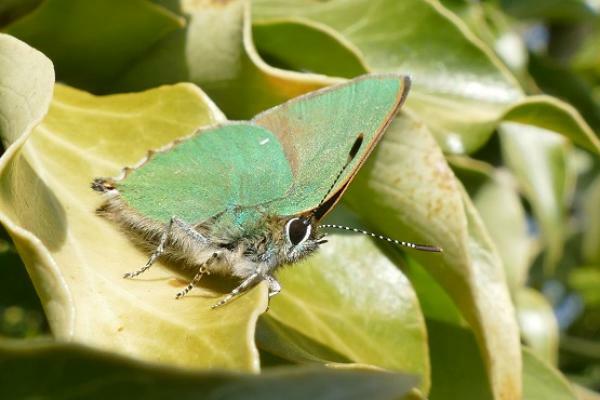 22nd Arbury, Cambridge (TL455611) Brimstone Janet 1 Brimstone flying around Bay tree, Sunny/warm 1:30p.m. 20th Front garden (TL968202) Red Admiral David Allen 1 red admiral sunning itself on the front wall my house. 17th St. Ives Guided Bus Route (TL3270) Brimstone Ian Johnstone One Brimstone flitting around. Sunny day, 14'C, with a light breeze. 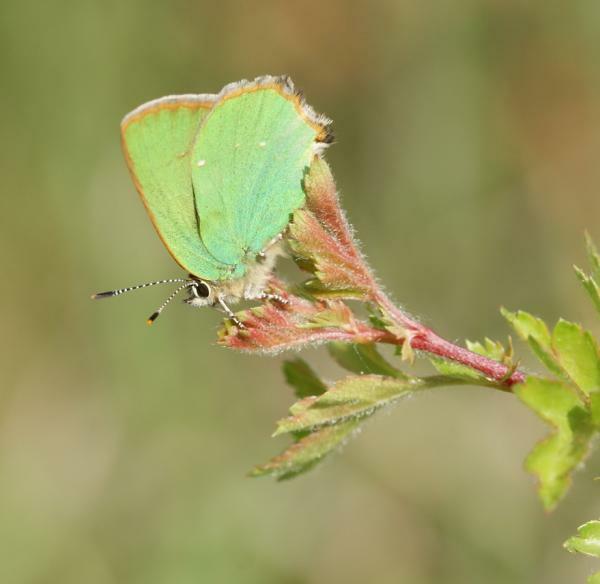 17th Epping forest (TQ434998) Brimstone Laurence Drummond A male at the north end of Long running. 17th Danbury Common (TL782045) Brimstone Paul Beckett Brimstone flying at noon on a sunny day among the gorse on the heath. 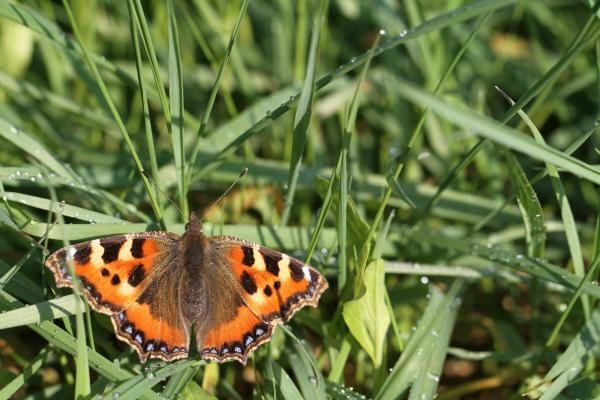 15th Garden in Little Eversden Small Tortoiseshell James Fowler 11:30, sunny and calm. 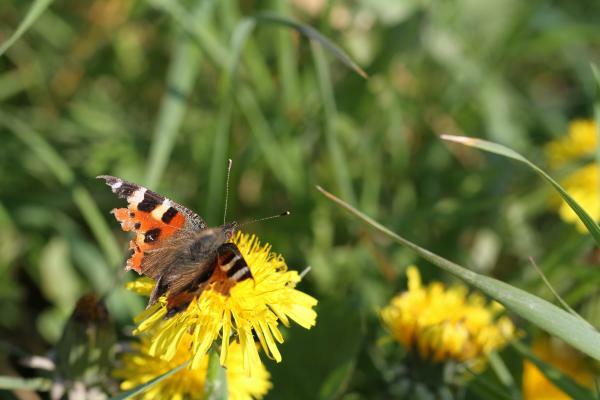 A single Small Tortoiseshell flying through. 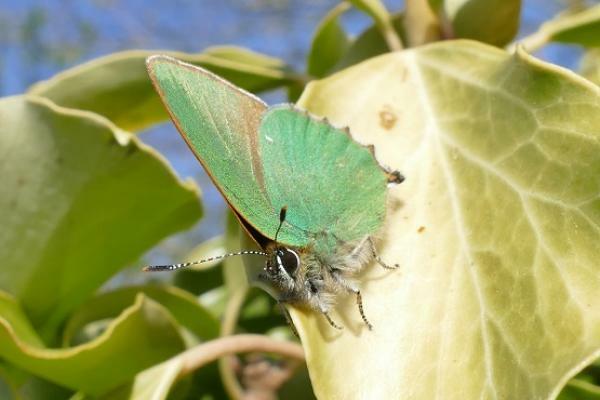 15th Garden Oakington (TL412645) Brimstone Julie Grove Bright sunshine, no cloud temp 16.4C little or no wind 1 x Brimstone also several Ladybirds and Honeybees present on the Sarcococca. 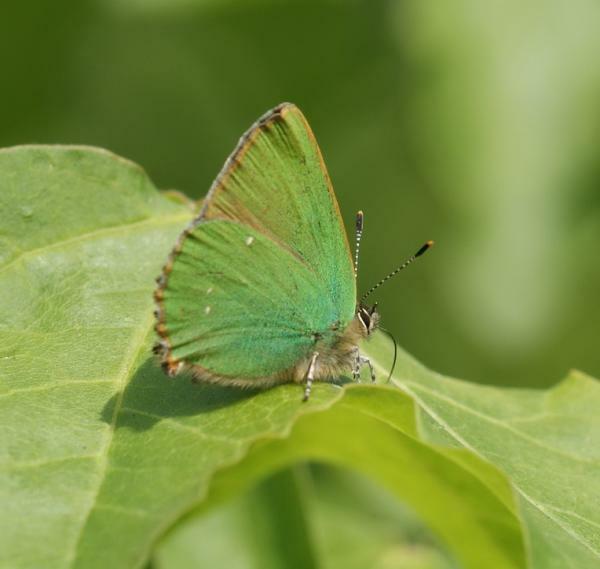 14th Garden in Little Eversden Brimstone James Fowler 13:30, sunny, calm and 11oC. A single male patrolling the garden. It didnÂ’t settle but returned an hour later. 14th Brampton Wood (TL177703) Red Admiral Tim Fryer Fleeting sighting as it flew away in silhouette. May have been peacock but cannot claim a first sighting! Warm and sunny however not much sun on the path where seen. 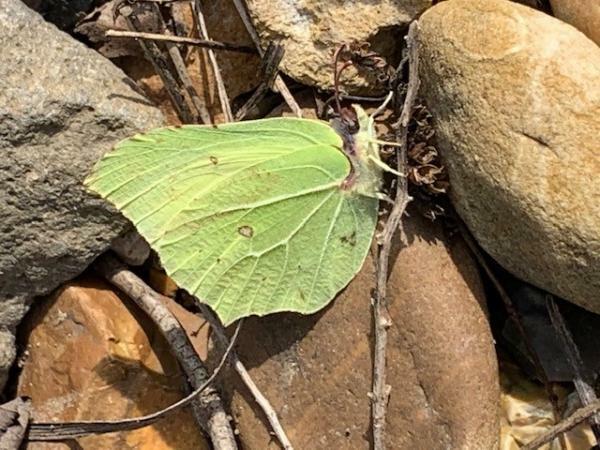 13th Yelling garden (TL2662) Brimstone Iain Whitaker Male brimstone drifted over garden on first decent Spring-like day this year.Sunny, 12 degrees with a slight breeze. 9th Bradwell Bird Observatory, Bradwell-on-Sea, Essex Red Admiral John Sutherby One Red Admiral on the wing and sunning itself in front of the Obs. 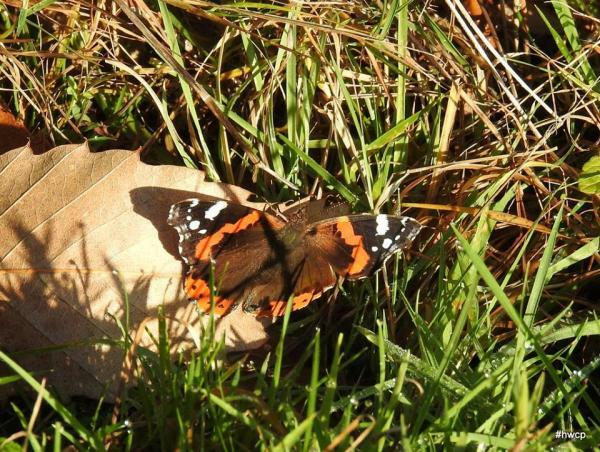 8th Fulbourn (TL532559) Red Admiral Roger Lemon One Red Admiral, first seen in flight then resting on sheltered side of hedge, adjacent to footpath, in sunshine.